As we grow and life moves forward, our knowledge of the body increases. We are able to dispel some common misconceptions about pain and treatment because of this. Most common are the assumption that those with “back breaking” jobs, the one’s who dig ditches or lay tile or work the docks all day long, they are most susceptible to low back injury. Injury is not a sole cause to back pain; however, most complaints at the physician’s office that do not specify a fall or very specific causation are typically viewed as temporary and self-resolving. Unfortunately, something “self-resolving” can actually prove to be chronic and ongoing if not treatment proactively. Data shows us that those with a sedentary lifestyle; truck drivers and office staff; are at equal risk. This is the #1 source of weakness induced low back injury. The #2 source of back pain in general is emotional stress. No matter the trigger, it is substantially important to minimize stress and increase self-care methods. “Me time” is no longer just a privilege of the Executive Employer. It is clear that todays parent, admin support staff, and student is more in need of regularly scheduled “me time” than any. These types of daily workers are at the top of the stress chain and require relaxation, exercise, therapy, massage and chiropractic care. The #3 top common reason for low back injury – mindless movement. Improper exercise, picking up something using the wrong area of the body, sudden twists and turns, impractical shoes, or incorrect breathing and posture are all examples of mindless movement. It is easy to do any of these at any given time throughout the day. At times, these mindless movements can add up to one very big issue. If not treated proactively, one issue can become a chronic ongoing source of pain. Tired of not giving your body what it needs to work better for you? Click HERE to request an Appointment and put a little “Me Time” into your week! Click HERE to read more about How We Treat our patients. There’s a great graphic that I’ll post below showing some of the results of a sleep and athletics study performed by the Journal of Pediatric Orthopedics (http://www.ncbi.nlm.nih.gov/pubmed/25028798) that goes through the information regarding amount of hours of sleep and injury rates. This is especially true, as a Chiropractor for Tigard local athletes, and especially high school athletes, which the study focused significantly on. If you aren’t getting enough sleep then you will run the risk of incurring an injury if you are engaged in sports or athletics. As a Chiropractor, I aim to help the Tigard community not only with pain but overall health. This also includes quality rest to keep injuries to a minimum. I myself have experienced during my regular workouts just how much easier it is to be injured, and keep it injured after it occurs due to healing taking longer. For all of the kids who take place in sports each year, we really need to have more emphasis on proper sleep training and education on and off the sports field. This is especially true in that over 50% of adolescent athletes report getting less than 8 hours of sleep. Sports Massage - Is it for you? Dr. Davis is fantastic! His office staff is the best. 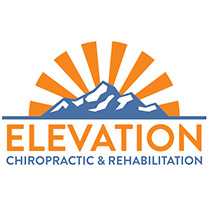 I highly recommend Elevation Chiropractic and Rehab! I highly recommend this clinic! After years of back pain, I finally decided to be proactive in my pain management. I came across Elevation during my search for an in-network provider. After reviewing a few clinics, I decided to try Elevation since they were closer to my home. Dr. Davis is very knowledgeable, I never feel rushed during my appointments with him and I feel that he genuinely cares about my concerns. Aside from Dr. Davis’ amazing work the massage therapists are great too! Who knew that a massage could hurt but feel so good at the same time?! Dr. Truong is an exceptionally knowledgeable and skilled chiropractic physician. He's very personable, easy to communicate with and takes the time to help you get back to what you love doing best. The information he is able to provide for both in office and out with exercise and rehab is second to none and has been extremely valuable. Don't hesitate to get yourself into this office! Dr. Davis is the best in the world. I have several health issues and Dr. Davis and his team have been so patient and kind to me. They spend quality time with you and listen to you. They truly care for you and your well being. Harmony is like a trusted friend, she makes everyone feel comfortable and at ease. Donovan is so helpful, you will be impressed by his caring ways. Dr. Dan is incredibly talented and will put your health as his top concern. Dr. Davis is more than a chiropractor. His background in Biology Medicine gives him an understanding of how our bodies work and he is able to sense what is best for his patients health. The Licensed Massage Therapists are wonderful. Elena & Lindsey will relax you and you will feel great after spending time with them. They listen to you and are fun to talk to. You will be so uplifted by coming here, their name says it all. Enhance your life at Elevation Chiropractic and Massage. I have a very serious genetic illness that is incurable. It effects my connective tissue. The staff at Elevation Chiropractic has greatly improved my quality of life. I don't know what I would do without them putting my skeleton, muscles and mind at ease. If you have had bad experiences with chiropractors do not worry. They are gentle and knowledgeable. The staff is genuinely nice and personally invested. Great experience for my first visit to a chiropractor! Dr. Davis was professional and helped address my problems effectively. Very friendly and courteous office staff. Dr. Davis is wonderful and his staff is just as great! He is quick and efficient, while working hard to build positive and lasting patient-doctor relationships. Rubi at the front desk never wavers in her ability to accomodate appointment times, and they are all so friendly you would think you were talking with your family. I highly recommend Elevation Chiropractic and Massage! This was a great experience. I fly once a week and have some serious pain from my military experience. Dr. Davis was very helpful and helped me get back into shape. Absolutely worth going in.